Lamps, Clocks, Shelving and more one of a kind decor essentials. One of a kind pieces for homes or businesses, read more to see what's in stock today. 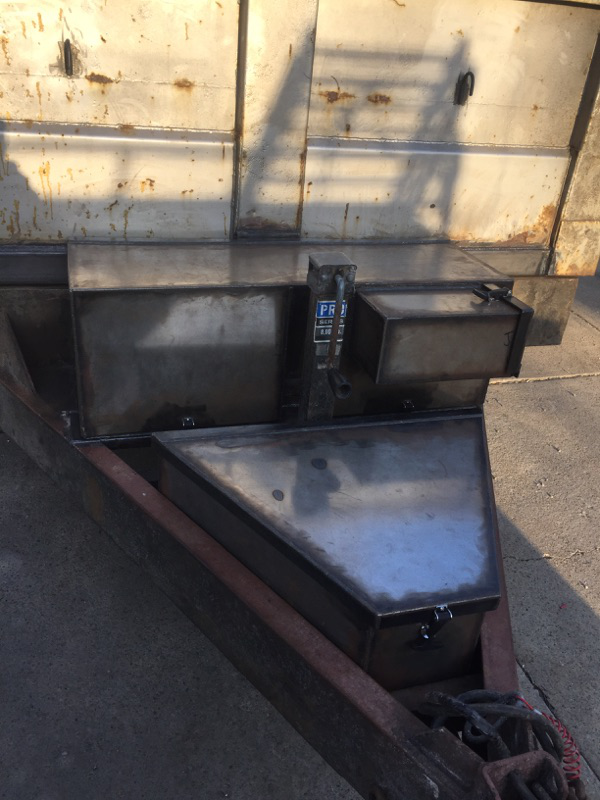 Have Work of Arc Welding design and fabricate to meet your needs, big or bigger, read more to see what we mean! WOAW has created some special items to show your love of the Land! See the newest Cleveland Indian's World Series wall art! The Art that ignites the Arc! While Jereme is continually inspired by reclaiming metal objects and bringing new life, that only scratches the surface of his artistry! His work with string instruments continues with his most recent work; Lament of Icarus. 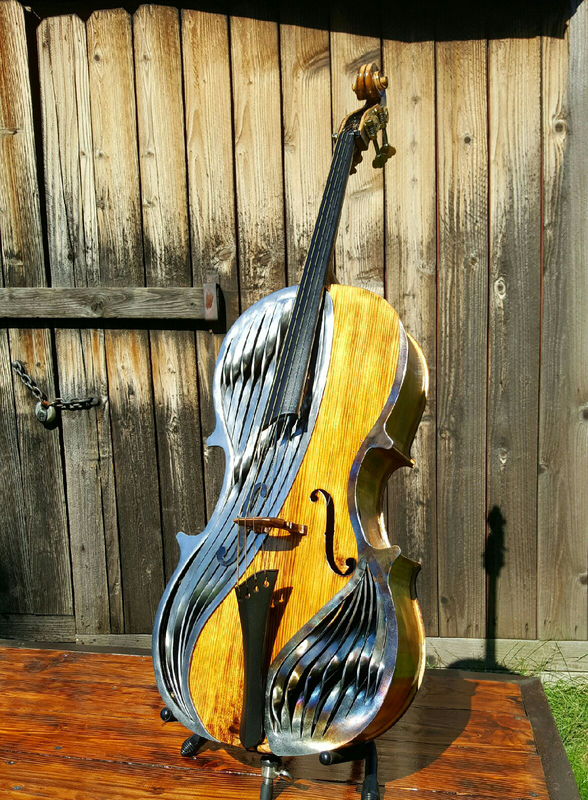 This lighted metal Cello sculpture started as a 1/2 size Cello for young students. After years of wear and tear the instrument was no longer fit to repair and play, but Jereme's vision gave it an entirely new way to inspire for generations to come! This wasn't the first time Work of Arc has created inspiring art from stringed instruments and it won't be the last. Find out more here. Let Work of Arc give your instrument new life as a one of kind art piece. Don't worry if you didn't play the strings, we'll work with brass, drums, winds and anything else you'd like to see turned into a one of a kind Work of Arc! Enjoy sipping on fine wines? Work of Arc has several Wine Racks to help show off those finely aged bottles of enjoyment, and the glasses you fill with them! Want to meet the Artist and see Work of Arc's items? We'll be around the Northeast Ohio area, come check us out! There are many skilled welders, and many creative artists but Work of Arc Welding can bring these two words together! Jereme believes that "overkill is underrated" and that amount of thought and skill go into every project, from the most simple repair to a highly complex custom build. Let WOAW design and fabricate to meet your needs and your dreams..
WOAW has created some special items to show your love of the Land! Check out images of our collection, featuring available works, sold items, projects and more.